Have you been having trouble with unwanted or uninvited "house guests"? I live in a rural area and the cooler weather usually means mice and other creepy crawlies trying to come in the house. I've tried many approaches to getting rid of them, house cats, traps, etc. I thought this would be a good alternative, no mess to clean up and completely humane. 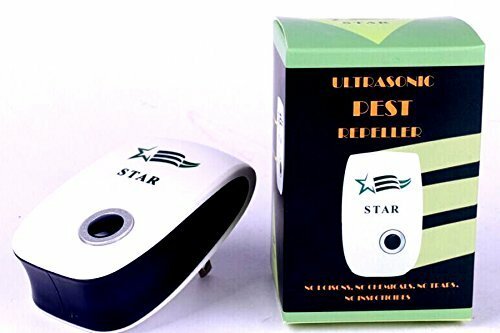 STAR Ultrasonic Pest Repeller just plugs into any outlet and sends and sends electomagnetic pulses through your house wiring. It creates a shield against rats, mice,ants,roaches, spiders,bugs and more. Outside pests no longer try to enter your house. No more harsh chemicals, exterminator bills, or messy traps. Safe and easy to use.